RIO DE JANEIRO, Brazil — Anderson Silva still doesn’t have an opponent set for UFC 212 after Kelvin Gastelum was flagged by USADA after failing a drug test for marijuana, and he explained Tuesday who he thinks makes sense for him now. It was rumored that Luke Rockhold or Vitor Belfort could step in against “The Spider” on June 3 in Rio de Janeiro, but the former UFC middleweight champion explained why neither of them interests him at the moment. 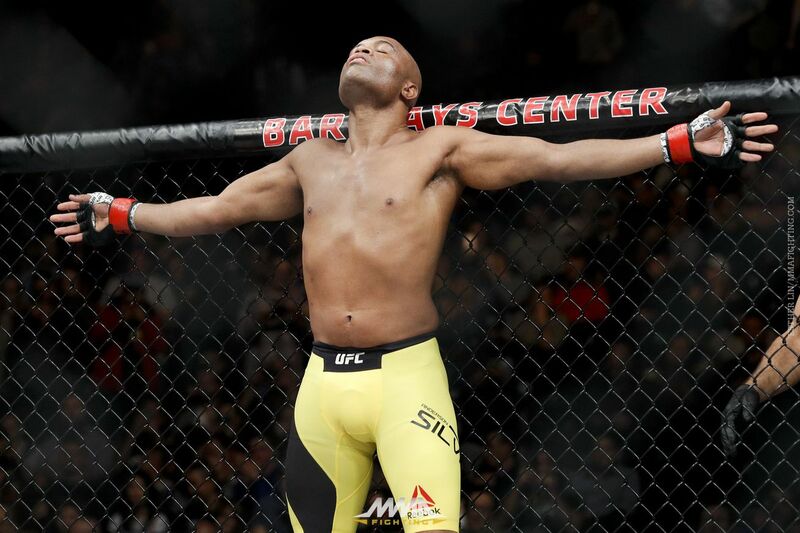 “I’m coming off a win (over Derek Brunson), right, after a long time without wins, so it doesn’t make sense to fight any of them because they are both coming off losses,” Silva said at a UFC 212 press conference in Rio de Janeiro. “It’s not something that will add anything for me. It doesn’t make sense. Rockhold is coming off a first-round defeat to Michael Bisping, and Belfort looks to get back on track following three TKO losses to Ronaldo Souza, Gegard Mousasi and Kelvin Gastelum. However, “The Spider” would ignore his own rule of only facing athletes who are coming off wins if the opponent is Nick Diaz. “It’s something that was on the table ,too, it’s possible that it happens this fight with Nick,” said Silva, who defeated Diaz via decision before the result was overturned to a no contest when both fighters failed drug tests. UFC 212 is set for the Jeunesse Arena in Rio de Janeiro, and will be headlined by Jose Aldo vs. Max Holloway. UFC officials said Tuesday that they expect to announce Silva’s new opponent in the next two or three days.